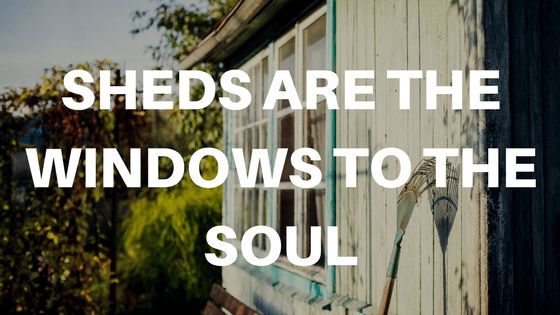 Sheds can reveal a person's soul. 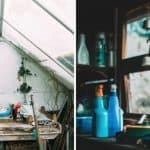 From the man shed to the mum shed here's how to tell a person's personality just by looking through their shed window. Often unnoticed in the bottom of the garden in many different shapes and sizes sits the garden shed. The number of ways in which sheds are used, such as the man shed, are as great and varied as the number of sheds in existence. 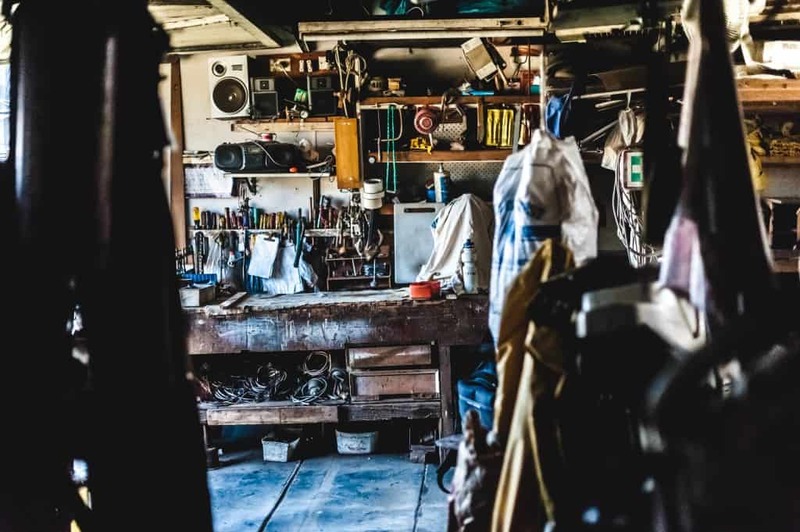 New research suggests that garden sheds are more than a place to store tools, they are in fact a window into their owner’s soul. Unlike a house the garden shed is the place not often seen by visitors therefore making it the perfect place to be yourself. More than a room to store gardening equipment and outdoor toys, by looking through the window of a person’s garden shed you gain more access into their true self than you do by looking through all of their social media. The house is silent but the garden shed is loud, stuffed full of instruments from guitars to drum kits. 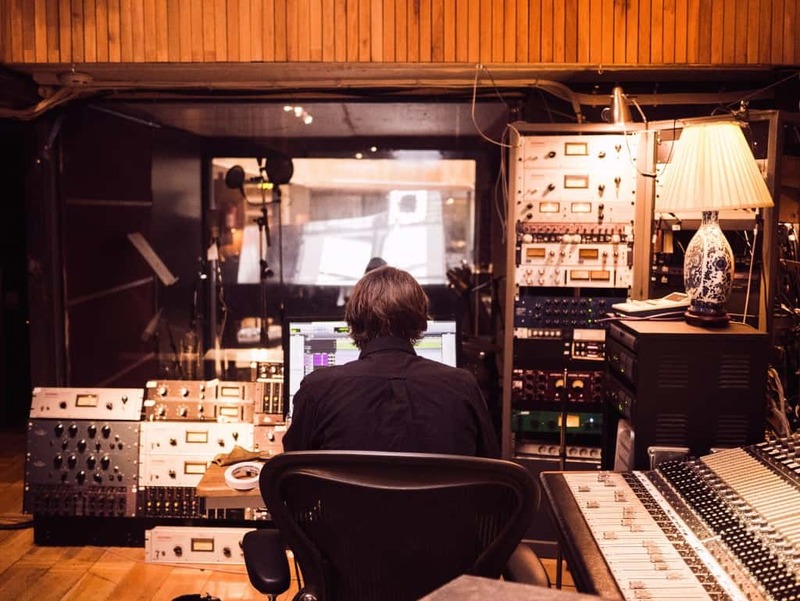 It is a place where the musician can make all the noise they desire without annoying everyone else in the house. Equipped with screens, a game console and a comfy chair or two, this shed is for the person who likes to spend hours on their own or with friends in an imaginary world without having to worry about cleaning up afterwards. Used for a quiet moment away from the kids.This shed is often decked out with a comfy area where mums can sit and catch up with their favourite book or weekly magazine whilst not having to worry about anyone else. Full of all the essentials for a natural disaster or zombie apocalypse this shed has everything you will need to survive. Canned food, camping equipment and items to keep you warm, the owner of this shed will survive the longest. Looking through this shed window you will see all the items a man needs from tools that are never used to all the items that are not allowed in the house. This is the place for men to store their stuff. Fitted with motivational posters and protein powder whilst still having the space to do weight lifting and zumba, the fitness shed is home to the person trying to lose weight and the gym junkie too. Stuffed full of gardening tools and plant pots this shed is home to the person who enjoys spending more time in their garden than they do in their actual house. If you look through this shed window you will see a room full of sale items belonging to that of a wannabe businessman hoping to eventually move into a warehouse. With surround sound, a projector, a popcorn machine and a comfy sofa this could be the best place to watch your favourite films on repeat. If the shed is full of old dusty toys and unwanted or broken items then this is the family shed. The shed that keeps filling up with random items despite endless efforts to try and organise it. One glance through this shed window and you will most likely see a mess. This shed houses the kid’s toys and all the destruction that comes with them. From drawing on the walls to toys scattered on the floor this is the one room that is allowed to be messy. A peek through the window of this shed and you will most likely see a group of people having a good time. This is because in this shed there is a bar complete with karaoke machine. 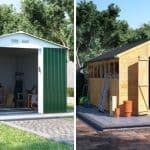 There are many ways you can transform your shed whether that be as a space to work or a place to relax. 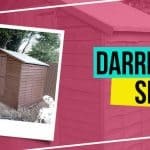 From athletes to musicians, from a place relax and watch TV to the popular man shed, a garden shed offers a place to hide who you really are without having to worry about anybody interfering.